If you're just starting out, or have a limited marketing budget, you can sometimes feel helpless against the big chains that are spending millions of dollars marketing their brands. 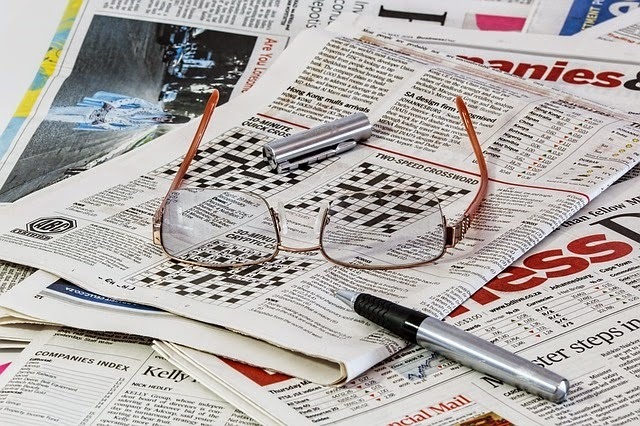 The good news is, you can start getting the attention of local and national media through a simple press release. At PMQ Pizza Magazine, and really every publication I've worked with in the past, press releases were the first point of contact we had with many businesses, leading some to end up in the magazine, and even on the cover! If you've never written a press release before, you can enlist the help of a professional, or try your hand at one yourself, using the steps below. 1. Decide what you'll announce in your release. Are you having a grand opening, introducing a new menu, throwing a party, celebrating an anniversary? Your press release must announce a timely event, or the media will have no reason to run it as news. 3. Find a template online or in MS Word. There are many online templates that allow you to just plug your information into them. Browsing what others have written will also help you perfect your style. 4. Include the most important information at the top. Journalism school teaches us to always tell the reader the "who, what, when, where, why" right away. You'll want to grab the reader's attention in the first paragraph. Editor's receive a lot of mail and may not read your entire release. Give them the good stuff at the start. 5. Include your contact information. Don't forget to put the best contact person at the top of your release, along with a couple of methods of contact (email, phone). If someone is interested in running your story, you want them to be able to contact you immediately. 6. Attach a relevant photo. Many times, editors are looking for last-minute news and your press release comes in at just the right time. If you've included a high-resolution image, you have a great chance of making it into the paper or magazine immediately. 7. Follow up. Editors are busy people; if you haven't heard back from someone in a week or two, it's perfectly acceptable to send one quick follow-up email. Most of us appreciate the reminder. Have you had success with press releases? Let me know about it in the comments section below. One of the most requested pizza recipes is New-York style pizza. The recipe below is from one of my friends in the pizza world, some of you may know him, Chef Santo Bruno, corporate chef of Marsal & Sons, Inc., and culinary coach of the U.S. Pizza Team. 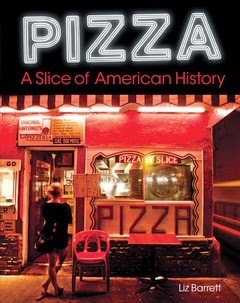 This is also one of the recipes I share in my book, Pizza: A Slice of American History, as part of the chapter on crust. Chef Bruno likes to keep his recipes uncomplicated, which makes them easy for both home cooks and professionals to test out. If you try this one, let me know how it turns out in the comments below; include a photo if you can! Allow dissolved yeast to double in size. Mix all ingredients together (by hand or machine) and knead to a smooth, elastic dough. Place in an oiled bowl and cover with a towel. Let rest for at least eight hours. Dough should double in size. 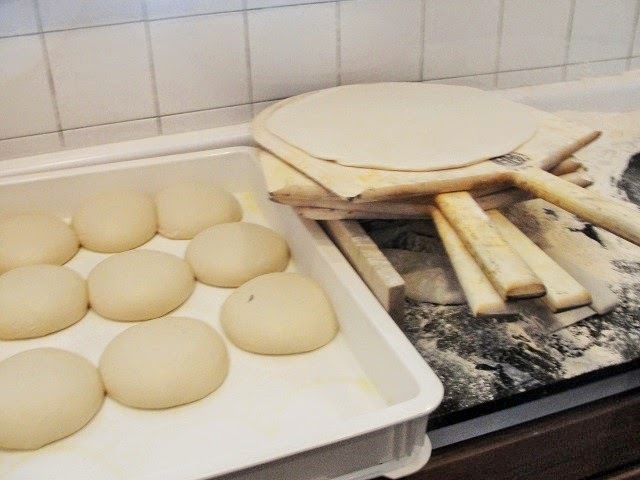 Divide dough into four or five balls, flattening one at a time and stretching to a thin disc, about 10 inches in diameter with a thickened edge. When ready to cook, keep toppings light (plum tomatoes crushed by hand, salt, pepper, sporadically placed mozzarella). Your pizza will cook quickly on the bottom rack of a 400-degree Fahrenheit oven. I'm running a follow up to last week's tip about building referrals because of a helpful comment I received on LinkedIn. "Your suggestion could be greatly enhanced if the operator had a web app (ideally with his menu on it, and even better with online ordering) that had a simple "Click to Share" button. This button allows a customer - with a simple click on their phone - to share a pre-set message determined by the pizza operator on the customer's Facebook, Twitter or Email list with an offer, a link to the restaurant's app, his logo and do all of this for free. "The math is simple, if you accept the current third-party provided statistics for Facebook (for example). Avg FBook Friends 200-300, multiplied by 100% participation of the next level when asked to "share with friends" (200x200=) results in a potential 40K shares. Now we all know that only a few percent will share, not 100%, but that still results in a thousand or more third party friends or family of the customer and the customer's friends and family getting a special offer, a suggestion to eat pizza and a branded image of the pizza operator all at no cost (excluding whatever the offer is). If only 2 customers a day followed the request, with a 10% share rate at the second level, the math works out to over 2.4M + 240K shares, or put it another way, a LOT of pepperoni." James' suggestion is a great one, and last year, HubSpot.com created a comprehensive cheat sheet for social media share/like/follow buttons, that can help you easily implement share buttons on any of your social media channels. Check it out here. 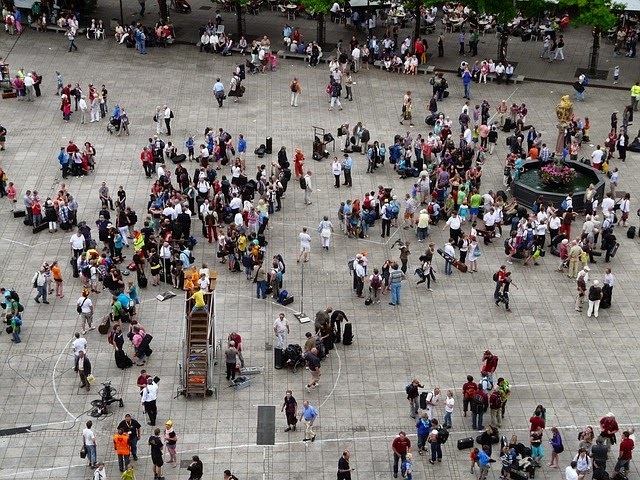 Are you successfully using these marketing methods? Tell me about it in the comments below. How many loyal customers do you have? You know the ones. They come into the pizzeria at least once a week, gushing over how much they love you and all of your delicious food. They usually also say something along the lines of, "I tell everyone I know to come here!" You humbly thank them and bring out free dessert as a show of mutual affection. Did you hear what they just said about telling everyone they know about coming to your pizzeria? What if you could track that? You can! You can harness the power of your biggest promoters (your most loyal customers) with one simple tool--a business card. 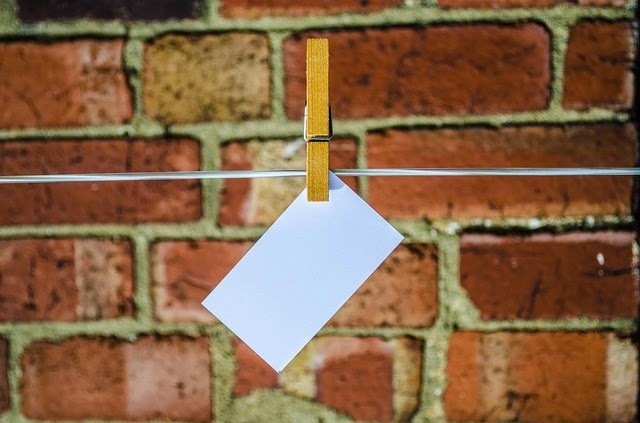 The next time one of your biggest fans tells you how much they love you, hand them a stack of 3-5 of your business cards and instruct them to write on the back: "Referred by (insert name here)." Then tell them that for every one of their cards that gets turned into the pizzeria by a new customer, they will receive a free pizza (or whatever you choose as an owner to give them). Once all of the cards are turned in, maybe you give them a small pizza party for them and a few friends. The point is, these are customers who love you and will make sure to give out their referral cards very selectively. They also know that they will be receiving prizes when the cards are returned, so they'll also make sure to give them to people who will come in and likely become regulars. The price you spend on a few free pizzas won't compare to the added revenue and exposure you'll receive from the boost in referrals! Have you tried something similar? Will you try this? I'd love to hear your feedback in the comments below. 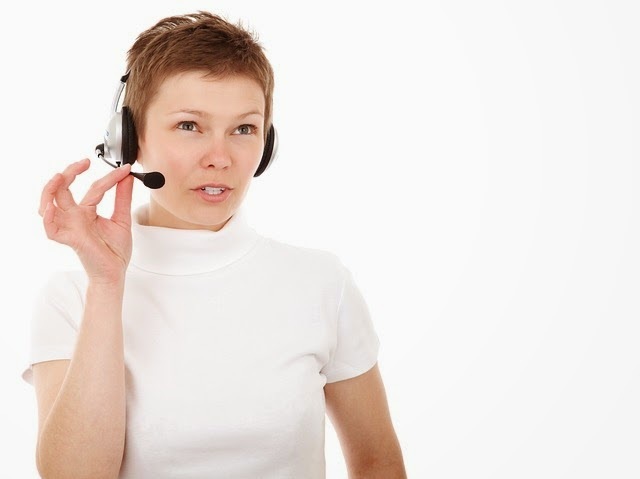 Could a Virtual Assistant Help You? Running the day-to-day operations of a pizzeria is hard work. What if you could hand off some of that work to an off-site employee, helping to free up time for more pressing matters? The idea of having a virtual assistant was almost unheard of a decade ago, but today, its popularity continues to grow as the Internet opens up opportunities for freelancers of all expertise levels to assist busy entrepreneurs. I recently spoke with Nick Loder, author of Virtual Assistant Assistant: The Ultimate Guide to Finding, Hiring, and Working with Virtual Assistants, and operator of virtualassistantassistant.com, about the ways pizzeria operators can benefit from hiring virtual assistants, as well as his tips for the beginner. The Pizza Insider: How can pizzeria operators best use a virtual assistant? Nick Loder: Having another set of eyes is always a good idea in business. Owners can use an assistant for any position that doesn't need a presence in the pizzeria, such as reservations, bookkeeping, accounting, etc. The Pizza Insider: For those who have never hired a virtual assistant before, where should they start? Nick Loder: Before anything, start tracking your time. This will help you define what you can assign to a virtual assistant. If you can itemize tasks that you can delegate, you'll set both parties up for success. There's a free online stopwatch called Toggl that monitors how much time you spend on given tasks, which can help you see where you're spending the majority of your time. For short projects, Elance.com and FancyHands.com are good places to start; you can practice with a few task-based services until you get a feel for it. The Pizza Insider: What do you think holds some business owners back from using a virtual assistant? Nick Loder: Having a virtual assistant puts you in a position of vulnerability, which stressed me out in the beginning. You're thinking to yourself that they may screw things up, or steal your business secrets. However, having a virtual assistant can also save you a lot of time. You have to think of it as sourcing, not outsourcing. Virtual assistants can be another member of your team. 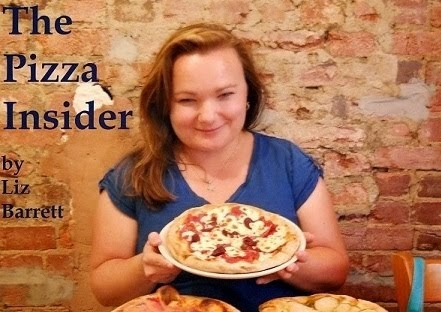 The Pizza Insider: When posting a project on a virtual assistant site, there are often dozens upon dozens of responses. What's the best way to weed through them? Nick Loder: I like to cast a wide net and then narrow down the candidates. First of all, check what they write in the job description response. Do they write something personal to you about your job, or just copy/paste the same thing to everyone? Then check the percentage of jobs they've completed compared to the percentage of jobs they've been rated on. You want most of the employers to have given them a high rating. Once I have it narrowed down to five or six candidates, I ask each of them to perform the same short task (less than 30 minutes and related to job). I also tell them that I'm available for any questions during the task (most don't ask, which tells a lot). From this narrowing down process, I'm usually able to find a good candidate for my project. Want more? Check out a related podcast with Nick here. Have you ever hired a virtual assistant? What has been your experience? Tell me about it in the comments.